Direct Leave-In™ Weightless Moisture Conditioner penetrates into each individual strand to provide exactly what is needed, every time. This leave-in treatment uses a rich blend that protects hair as you go through the day. It creates a texture that feels thicker and has more body when styled. Weightlessly. By infusing each strand with hydration, hair goes directly to a beautiful style. Thank you so much for your feedback. We have not changed the formula for our Direct Leave In Weightless Moisture Conditioner. 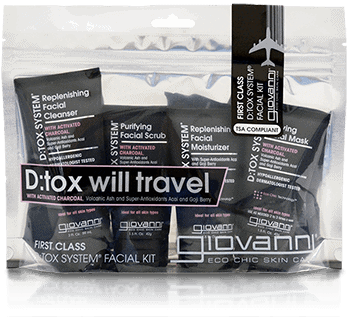 Please email customerservice@giovannicosmetics.com for further review. This leave-in conditioner has worked great on my wavy, fine, thick hair. It’s really hard to find a product that doesn’t weigh down and flatten my hair. Couldn’t be happier with this product! My hair ABSOLUTELY LOVES this leave in, my 3c/4a curls seem to come alive when I use it. So much bounce and moisture, it’s AWESOME!!!! Best leave in Conditioner I have ever ever used. It actually made my hair curl without a definer which is rare. Please please please don’t ever discontinue or change this product. I purchased the Direct Leave In along with the smooth As Silk shampoo and conditioner. I have to say I love these products and they work very well on my curly hair. I love that they are Curly Girl Method safe and don’t dry out my hair. The other wonderful thing is this company is true to their word and has great customer service. You can’t go wrong with any of these products. I love this leave in. I’ve been Curly Girl for a year and this product is the bomb! I will also say that this company has the best customer service I have encountered in a long time. They are honest and very responsive. Back to this product line. I use the smooth as silk shampoo and conditioner and my hair loves it. These are great products! This product works great when you need a little extra conditioner. Thank you for not testing on animals!!! I really like this leave in conditioner! I have very dry 3b curly hair and just a little bit of DIRECT LEAVE-IN™ WEIGHTLESS MOISTURE CONDITIONER makes my hair smooth. I like that it is CG approved too! on my refresh days, I mix a tiny bit of this product with some water and smooth it over any flyaway hair and they just disappear! LOVE IT! Definitely the best leave in ever! Great for my very fine thin fragile curls. Very hard to find a product that wont weigh me down. I’m having great success with this product so far. I noticed a huge difference of moisture level in my hair from just first use. I recently switch to all Giovanni products and use this as my leave in and styler for my wash and go and spray a little bit of the moisture treatment and that’s it. I have baskets of other “curly girl routine” products that were a waste, save yourself time and trail and error and try this first. Cant live without it….they stopped selling this in stores I frequent so I had to come straight to the source. I use this product everyday because it helps moisturize my hair follicles and just leaves it feeling soft, very curly, and ready for the next Giovanni product, the LA Hold Styling Gel. I love this stuff because its natural and works well!